It was more difficult to see any RNA at the bottom of the tubes in the end. Friday was a lot easier. One of the 10 tubes did not have a clear aqueous phase separation. I had to remove some of the pink off the top, then attempt to just get the clear liquid beneath that and above the rest of the pink. I did not write down which tube it was, so I’m not sure which Qubit result belongs to it. 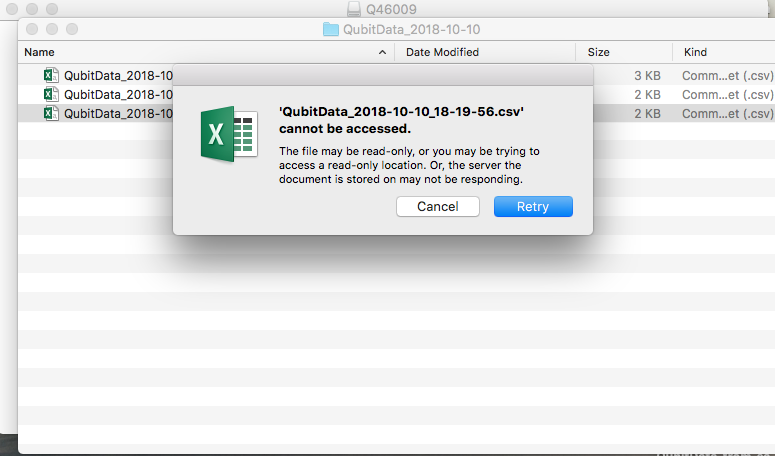 I re-downloaded the data on the Qubit a second time, but still I couldn’t download it from the USB. I kept getting the same error, and I would retry multiple times, but still wasn’t able to get it. I do need that data so that I can add it to my sampling master spreadsheet! I ran out of time today - I have to go pack and get some other things done before I leave tomorrow. May ask someone else to bioanalyze, or I’ll do it myself when I return next week.